In “Buffy,” Glory (portrayed by Clare Kramer) was the Big Bad of Season 5 — a hell-goddess who was exiled from her dimension and wanted to return through whatever means necessary, even if it would mean destroying the world. Glory, who has no real name but had adopted the name “Glorificus” (or “Glory” for short), is one of the oldest evil beings in existence. She ruled a hell dimension with two evil deities, but they grew fearful of her as her power continued to grow. In an ensuing war, she lost and was banished to earth and could exist only as she would share a body with a human doctor named Ben. Glory could only return “home” through the power of a Key, but using that Key would result in the end of the earthly world in the process. So, a group of monks hid the key in the form of Buffy’s newly-seen little sister Dawn in Season 5 since Buffy would always protect someone so close to her. Meanwhile, Glory enlisted the aid of a group of servant demons and people on whom she feed and then drove insane to help her to find the mystical tool. Throughout the season, Glory is shown to be as superficial and vapid as she is dangerous, powerful, and insane — the longer that she inhabits Ben’s body, the more that her existence is split into two entities. Glory, who is shown to have near-invincible strength as a hell-goddess, eventually realizes that Dawn is the Key, and she kidnaps her. 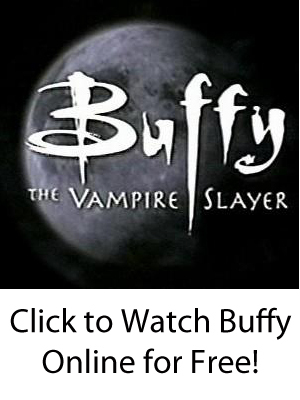 In the ensuing battle at the end of Season 5, Buffy sacrifices herself to stop Dawn from dying and to prevent the world from ending. As Ben-as-Glory lies wounded on the ground of the scene of the battle, Buffy refuses to kill them because she cannot kill an innocent human even though not doing so would allow Glory to return in the future and try her whole scheme again. While Buffy races up the stairs before her ensuing sacrifice, Giles kills Ben (and thereby Glory herself) — doing something Buffy could not — to prevent the world from facing Glory’s evil plans ever again.